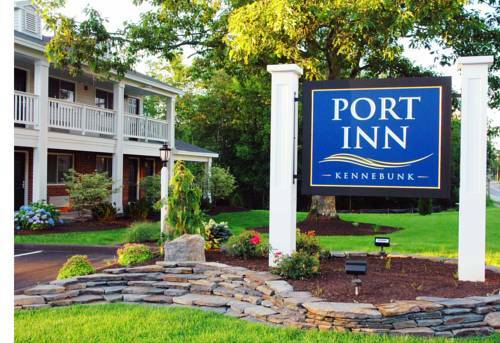 Focus on your destinations at the pet-friendly, smoke-free Ascend Hotel Collection Member hotel in Kennebunk, ME located off Interstate 95 near Dock Square in Kennebunkport. Nearby destinations include Colony Beach, Goose Rocks Beach, Funtown Splashtown USA and Rachel Carson National Wildlife Refuge. Enjoy amenities like free breakfast, free WiFi, free weekday newspaper, outdoor seasonal heated pool and guest laundry facilities. Also, earn rewards including free nights and gift cards with our Choice Privileges Rewards program. This is a smoke-free, pet-friendly hotel. Pet accommodations: 35.00 per pet per night. Eunice "Goody" Cole wasn't burned, but she did have a stake driven through her dead heart. Some 300 years later New Hampshire felt guilty and put a plaque on a rock in her memory. A classic photo-op sign, guaranteed to wow the folks back home. Arrows point to nearby towns in Maine that are named for foreign cities and countries. A well-done lookalike, erected to honor New Hampshire's most famous spaceman, Alan Shepard.